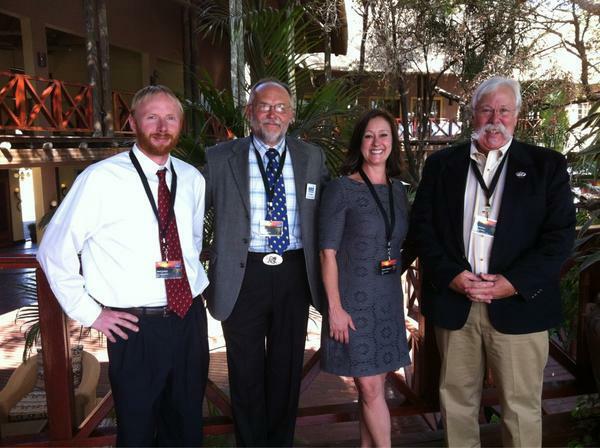 Matt Eckert with (L to R): AL Maki, Conservation Committee Chair, Melissa Simpson, Director of Conservation and Joe Hosmer, SCI Foundation President in attendance of the African Wildlife Consultative Forum in Botswana, 2012. Washington, DC – Safari Club International Foundation (SCI Foundation) is proud to promote Matt Eckert to the position of Deputy Director of Conservation for the entire organization. In his capacity, Matt will oversee SCI Foundation’s expansion of wildlife conservation research in North America, South America, Asia, and Africa. He will serve as the organization’s lead representative for international conservation treaties and conventions, and facilitate development of partnerships between governments, agencies and organizations. As Deputy Director, Matt will leverage the organization’s funds to magnify the practical impact of conservation investments and to deliver more robust projects on the ground worldwide. 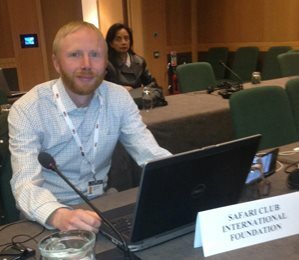 Matt will continue to lead the SCI Foundation on all policy and trade related issues for the Convention on International Trade of Endangered Species (CITES). 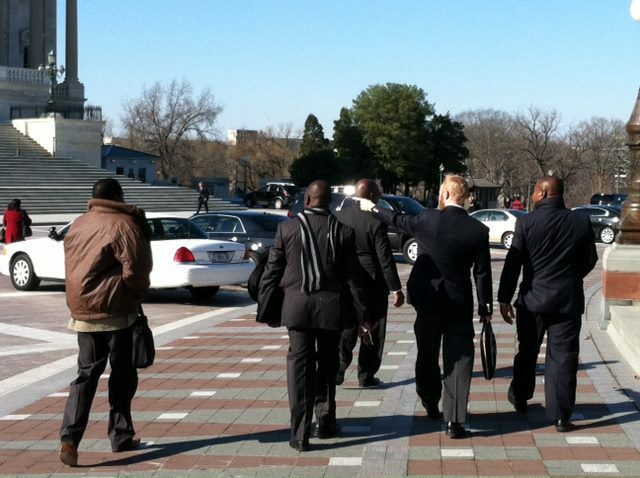 He has worked for the SCI Foundation for over 7 years and has represented SCI Foundation at nearly every international wildlife trade meeting within that time. “Matt has been a key part of the Foundation’s success and he will continue to drive the organization towards expanded partnerships at the international level on behalf of SCI Foundation,” said Melissa Simpson, Director of SCI Foundation Conservation Programs. Before Safari Club, Matt Eckert worked for federal, state and private entities on the conservation of moose, deer, turkeys, waterfowl, sandhill cranes, pheasant, salmon, trout, and other wildlife in various places of the United States and Canada. He graduated from Rutgers University with Honors before obtaining his Masters in Ecology at the University of New Hampshire, where he managed a wildlife research facility. All of these experiences contribute to the biologist he is today. 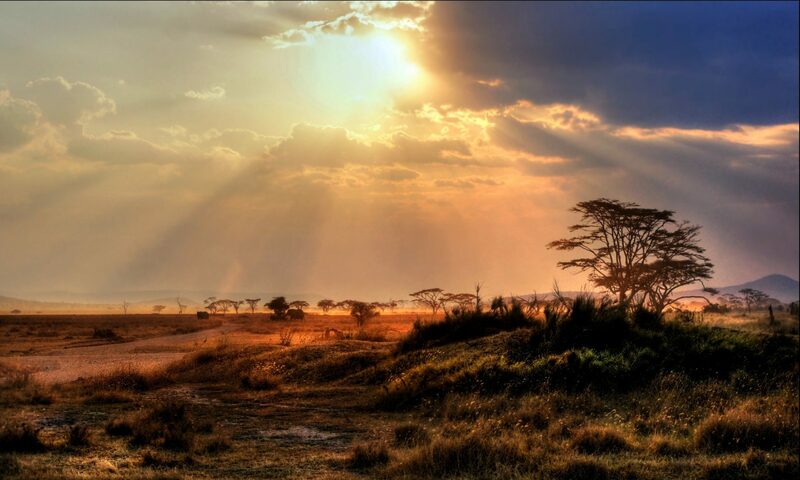 Visit the SCI Foundation’s new website at www.safariclubfoundation.org for more information on how you can contribute to international conservation.